Red roses, pink champagne, chocolate kisses and a trip to the salon. Sounds like a lovely way to show (and feel!) the love this Valentine’s Day, are we right?! While for many, Valentine’s Day calls to mind a chance to celebrate the perfect (orrrrr not-so-perfect) romance – or complete lack thereof. The truth is that Valentine’s Day doesn’t have to be about romance. It’s a time to show everyone in your life a little love, and it’s also a seriously important time to love numero uno, yourself. And what better way to celebrate than a day at the salon?! 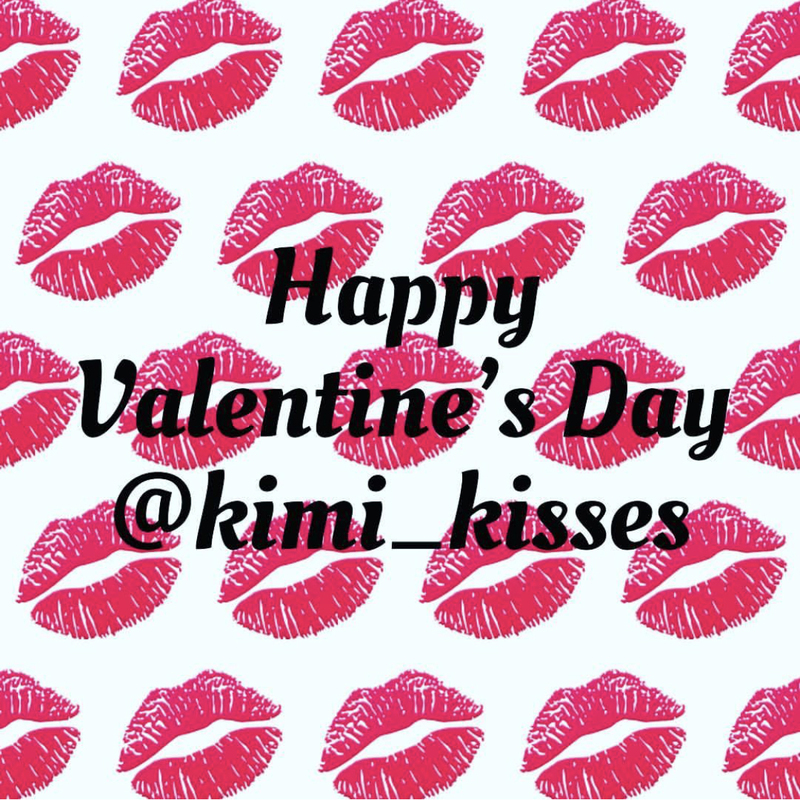 According to the National Retail Federation, consumers will spend a near-record $19.6 billion on Valentine’s Day this year. Holy cow! The NRF survey also revealed that 23.7% of respondents planned on giving a “gift of experience,” and 42.3% said they would love to receive an experience as a gift from a loved one! ‘Tis the season to “Pamper Someone you Love” and “Treat ‘Yo-Self” – and it’s time to position your studio as the ultimate celebration destination. From paper hearts to aromatherapy, turn your studio into a place where love permeates from within. Use your décor to draw attention to your retail shelves and consider highlighting a few product deals with festive signage. In addition to the obvious décor, stock a cookie jar with sweet treats or serve up some pink champagne. 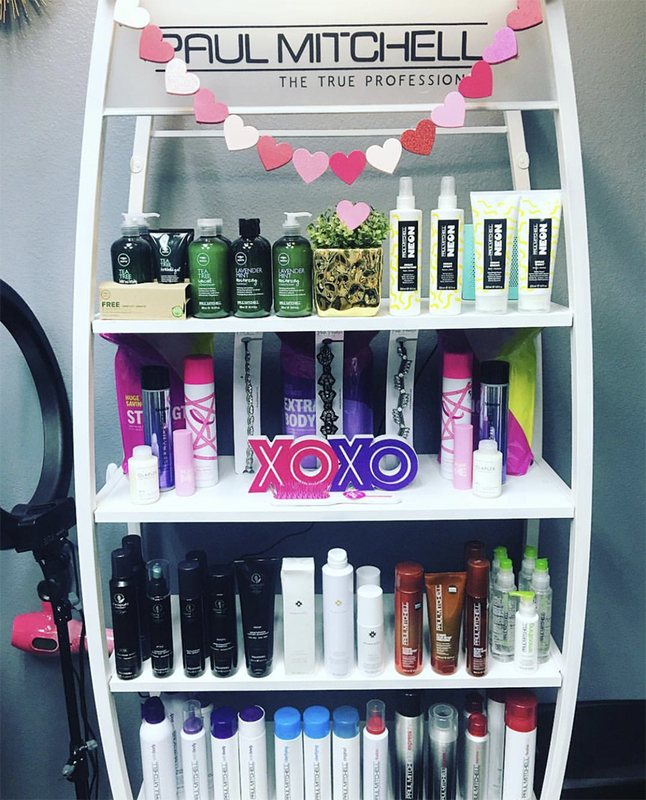 Share a picture of your Valentine’s Day décor on social media to remind your guests that in your salon, they are never alone. Create gift packages that guests can purchase for a loved one (or for themselves), such as an enhanced blowout experience: an invigorating shampoo, a deep conditioning treatment, a gorgeous blowout, and take home a travel size hairspray or vibrant lip gloss. And don’t forget to have gift certificates on display for last minute shoppers, too! Send your most loyal customers home with a bundle of product samples tied together with red ribbon. This is not only a great way to show your clients the love, but it’s also an amazing way to introduce them to new take-home products that once they fall in love with, they won’t be able to live without. 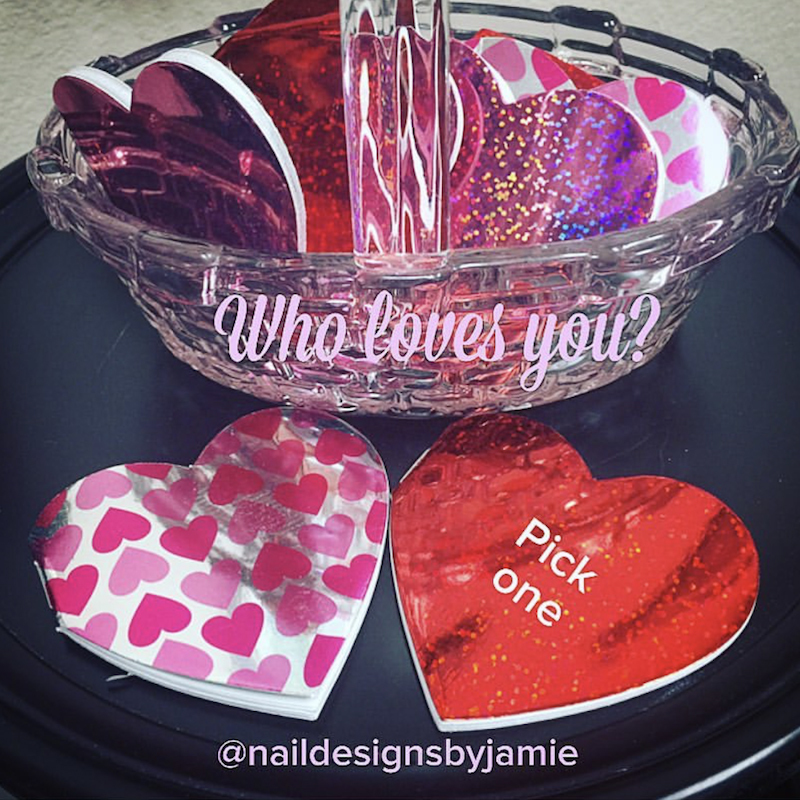 Allow customers to choose from a fishbowl of awesome promotions hand written on paper hearts. Promotions could be retail discounts ranging from 5-45% off or consider tying prizes to upcoming appointments, such as an add-on deep conditioning treatment or free brow touch up, contingent on whether or not they pre-book that day. 2018 Faces of Sola Ashley Lantz does a drawing for a date night giftcard to a local restaurant for all guests that spend over $60 during the 4 weeks leading up to Valentine’s Day! Some of your guests may be sick of the mushy gushy Valentine’s Day talk, so invite them to a romance-free “shop ‘n' pamper” event. Pick a slow day between February 1-14 and show your VIPs some love with special retail sales, sweet treats and sparkling beverages. Offer blowouts or teach lessons on how to create the perfect top knot or smoky eye. Send everyone home with a few of your favorite product samples tied together with your business card. Tell your guests to bring their friends and take advantage of the opportunity to turn them into new clients. A wise person once advised me, “why wait for someone to bring you flowers? Just get them for yourself!” Send yourself a giant bouquet so that every morning in February, you walk into your studio and are reminded of how much you are loved. Take a picture of your studio and post it on Instagram to show off your beautiful space, and make sure to infuse a few appropriate local hashtags to get in front of potential new clients!